I have been asked to write an article on the Rancilio Sylvia for another website and so this is a start-up article to that. I love the Rancilio Sylvia. I would place it in the medium range for the home barista. It is more expensive, slightly, than the entry level machines however it is worth it. 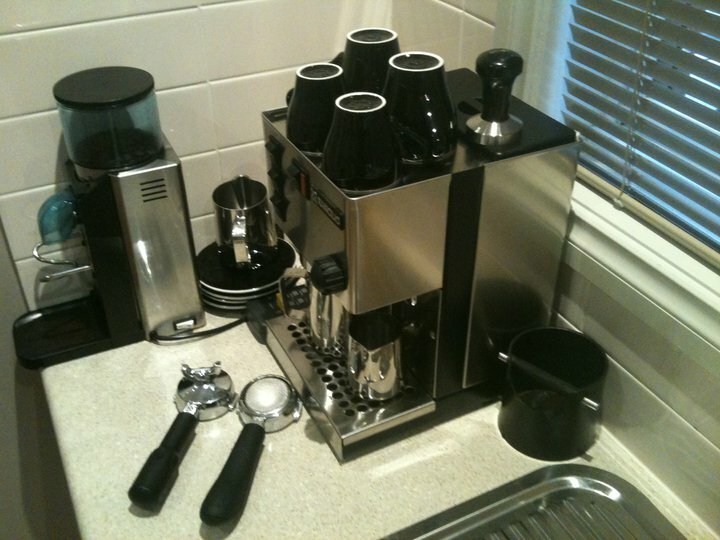 Coupled with the Rocky grinder one can make espresso at a similar quality to any top 100 cafe. The benefit of a commercial machine is consistency, speed and volume. You will never achieve those three things with a one group Rancilio machine at home, however with training from a barista (or youtube!) you can make excellent coffees one or two at a time. The best video for this is Mark Price the original Coffee Geek: www.youtube.com/watch?v=QhxvDusY3jk at the end of this article. 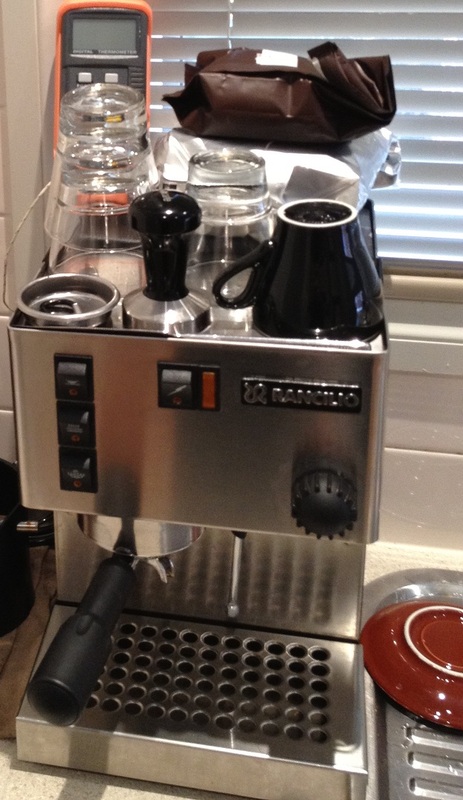 With a Rancilio Sylvia one can make exceptional coffees however only one at a time. The large steel covered brass group head maintains a certain temperature well. The brass boiler also heats up quickly and maintains temperature fairly. You can create steam easily with 120-130 degrees celcius and it does not drop off. Set the boiler to 100 degrees. Warning: Turn off power first. Turn on the machine and allow to heat for 10-15 minutes. This will allow not only the water pressure to gain, it will also heat up the portafilter to a consistent temperature. Without this 15 minute pre-heat your coffee will lose temperature when it reaches the cold portafilter. For the beginner I would highly recommend NOT steaming first. I accept the benefits of steaming the milk first however the risk of burning the coffee when extracting post steaming is too high for the novice. I would suggest steaming the milk after extracting the coffee. This will take 1-3 minutes longer, however it is worth it. Mark prince recommends pre-steaming and I agree however this requires a lot of skill or practice. Hit the pre-heat/steam button and when it reaches 120 degrees start steaming – If you do not have a thermometer attached then wait 30 seconds, turn on the steam wand to clear around 30 mils of water. Turn it off and immediately turn it on until there is only steam. If the steam is not visible it is too hot. Immediately clean and flush the steam wand. This is really basic. You have to see it to believe it. Watch and learn.